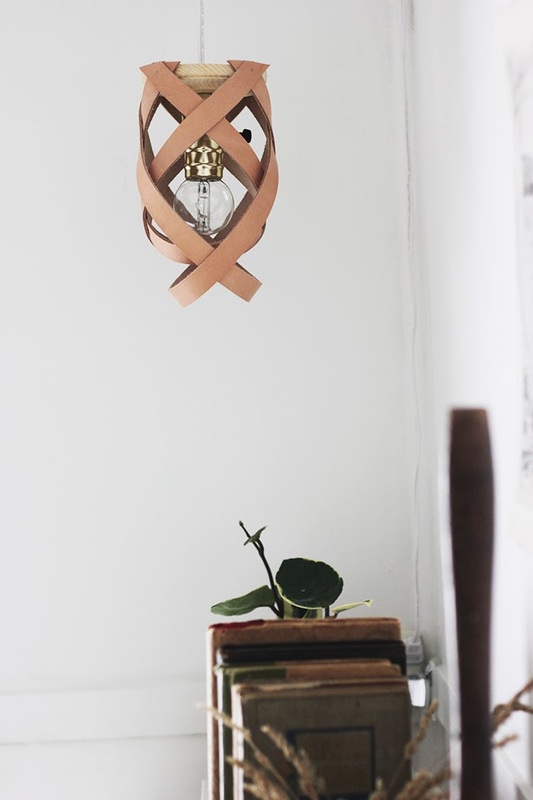 The ceiling lights at my apartment are always having issues (oh the joys of renting…) so I'm constantly looking for extra lighting that will fit in with my decor without being too obtrusive. 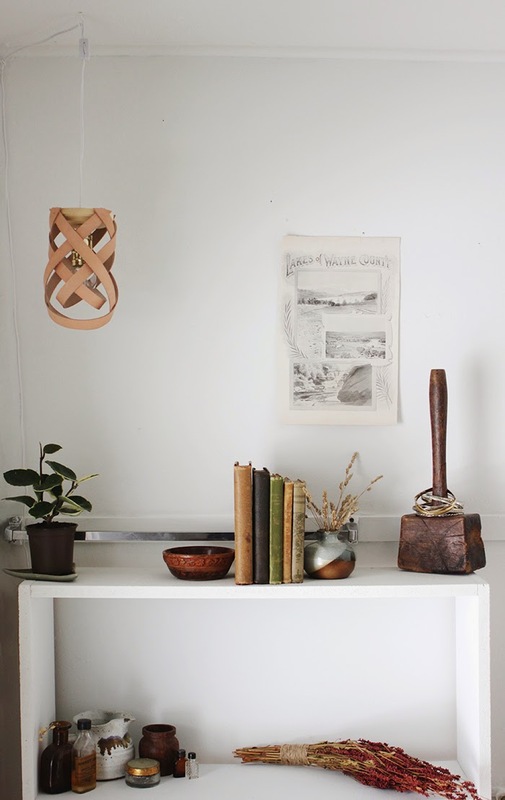 This is a pretty quick DIY once you've gathered all of your material and I love how it looks in this corner of my little apartment. 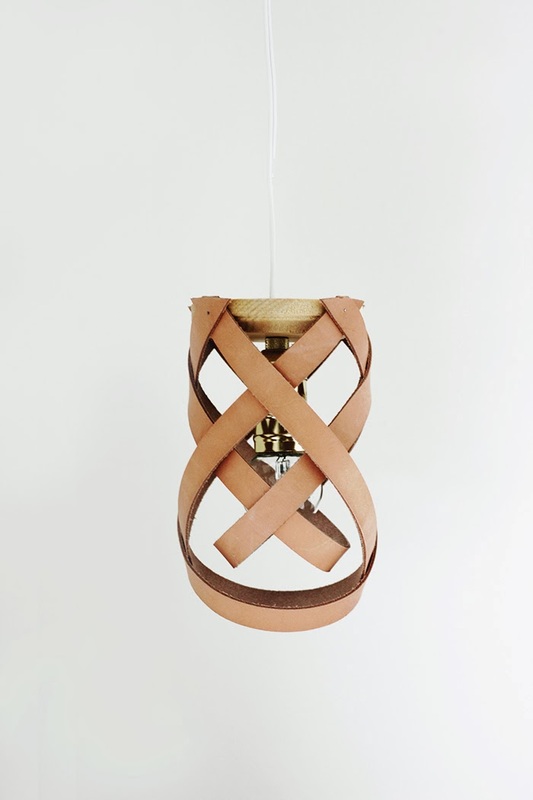 If you're a lover of leather and a fan of the pendant light craze - this may be the perfect DIY light for you! -Measure the center point of the wooden circle and drill a 3/8" hole. 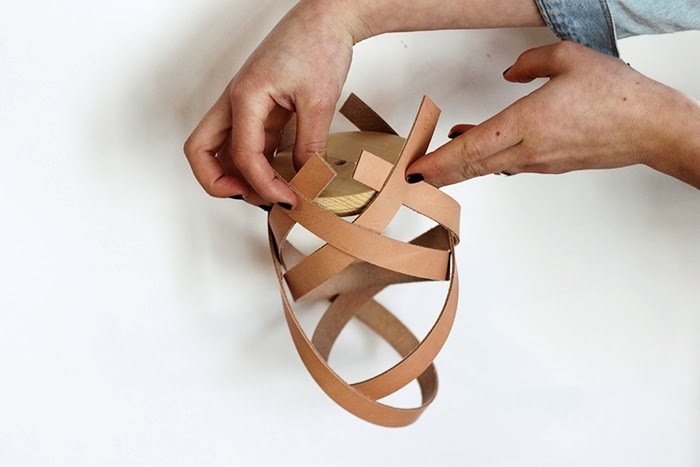 -Mark out four evenly spaced spots around the outside of the circle. 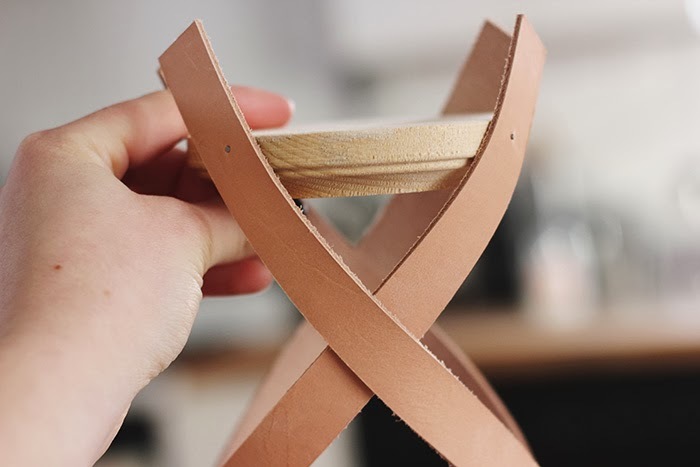 -Take your first piece of leather, cross the ends over each other to form an x, and then nail each end to one of the spots marked out on the circle. -Repeat with the opposite side. -Cut the remaining two straps down to 22" long. -Cross the ends over each other to form an x again, putting the bottom of the loop into the middle of the loops formed by the other straps. Nail the ends over the straps that were already nailed in. Repeat with the opposite side. -Take the switch cord and cut off the socket end of the cord. 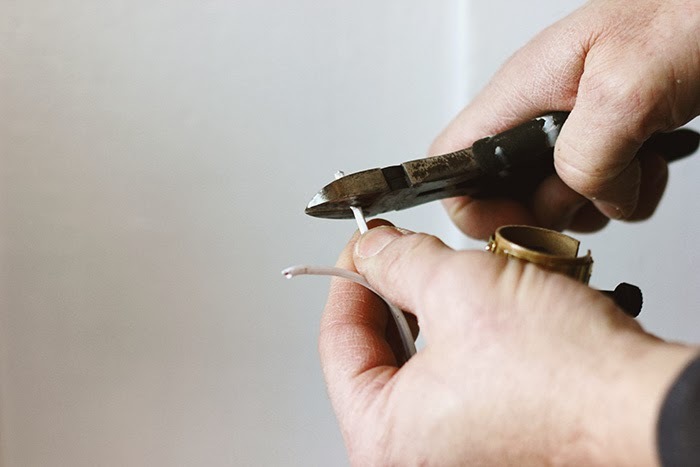 Use wire cutters to strip the rubber off the the wire ends. 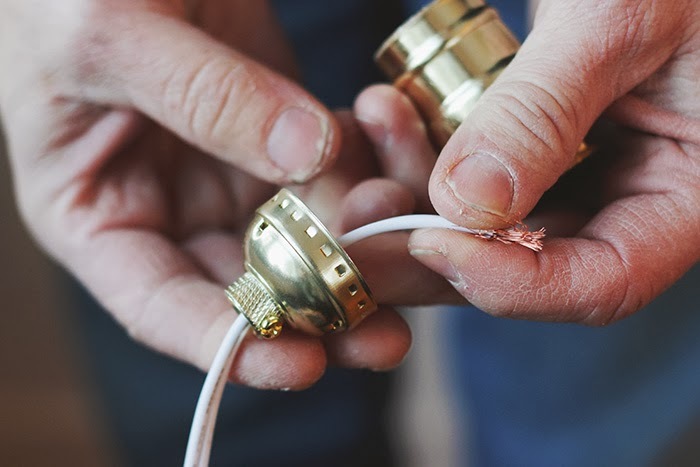 -Pull cord through the top of the wooden pendant and down through top of the socket. 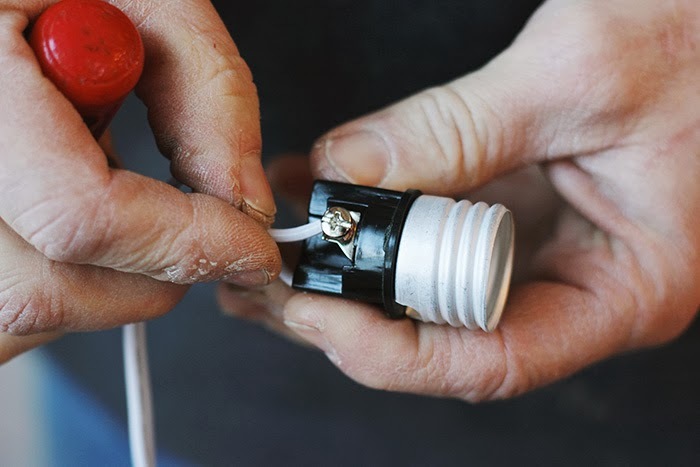 -Put socket back together, screw in a light bulb, and pull back into the leather loops. 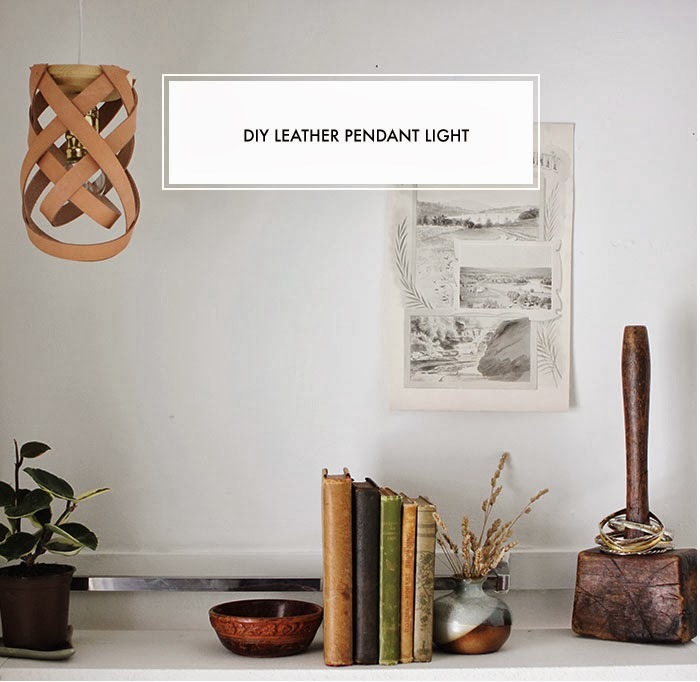 -Trim the excess ends of leather at the top and hang up your new light! Creative idea ! I like the leather! Hello, can you please let me know if this leather is painted or varnished? doesn't it burn by the heat of the lamb? how do you protect it from the heat? thank you very much in advance for your answer..
Mir - the leather that I used is just naturally tanned. No paint or varnish. There should be enough space between the leather and the light bulb when you make this that there won't be any problem with the heat.